When you travel, it’s important to make sure those you are responsible for are taken care of. We’re not opposites. We’re complementary. It’s not ALL about the send. As a plastic-pulling gym rat in Southeast Michigan who only relatively recently started leading and only rarely ventures outdoors on to real rock, I’ve often felt like I’m not a “real” climber. But you know what? I totally am, and so are you. My short friends are so unsympathetic. It’s always bittersweet when your project gets taken down… but sometimes more sweet than bitter. 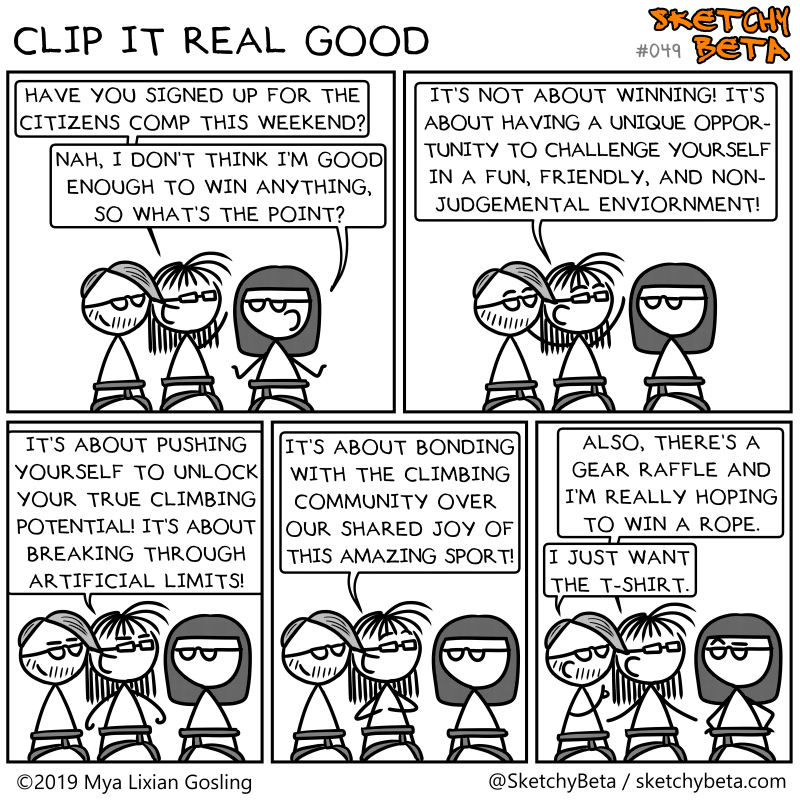 I’m off to a citizens comp at my friendly semi-local climbing gym this afternoon! Wish me luck. My goals are to finish in the top-half of the women’s intermediate division and to beat my previous best time on the speed wall (36 seconds). I think I’ve made it to “testing”. 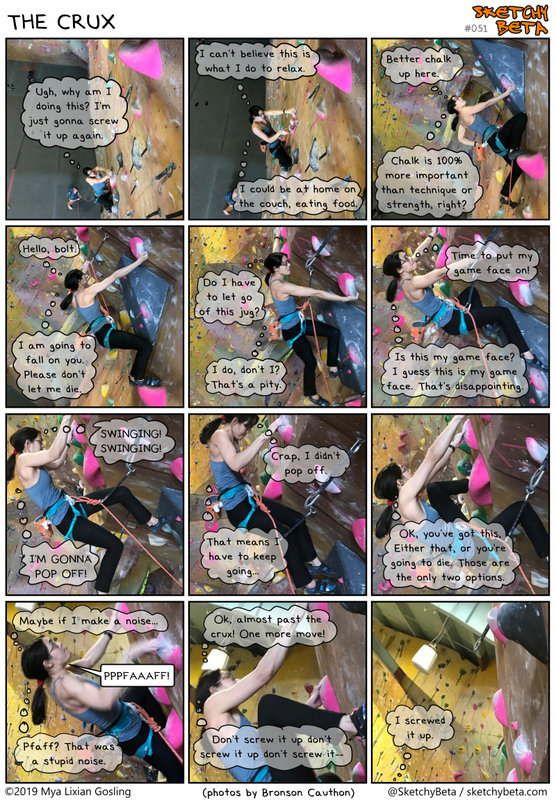 Any of my fellow female climbers have this happen to them regularly? PS - While my bruises are all (accidentally) self-inflicted, domestic violence is no joke. For help, contact the National Domestic Violence Hotline. 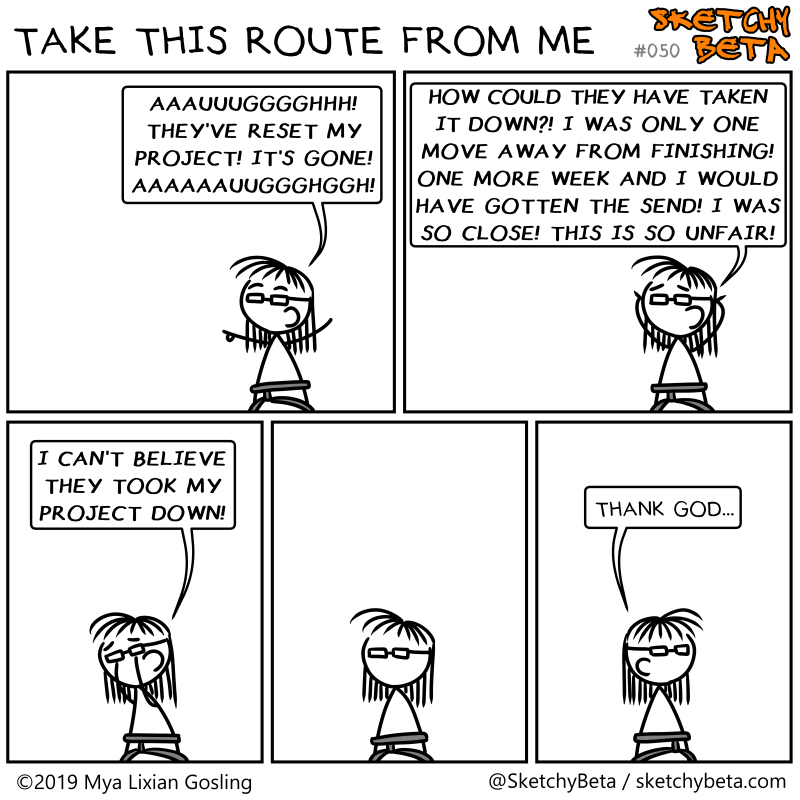 We don’t choose our project. Our project chooses us. I love my friendly local route setters. Even the tall ones. I currently have five pairs of climbing shoes (all of them Tenayas) and yet I do 95% of my climbing in what are ostensibly my warm-up pair. Happy New Year, climbing buddies! 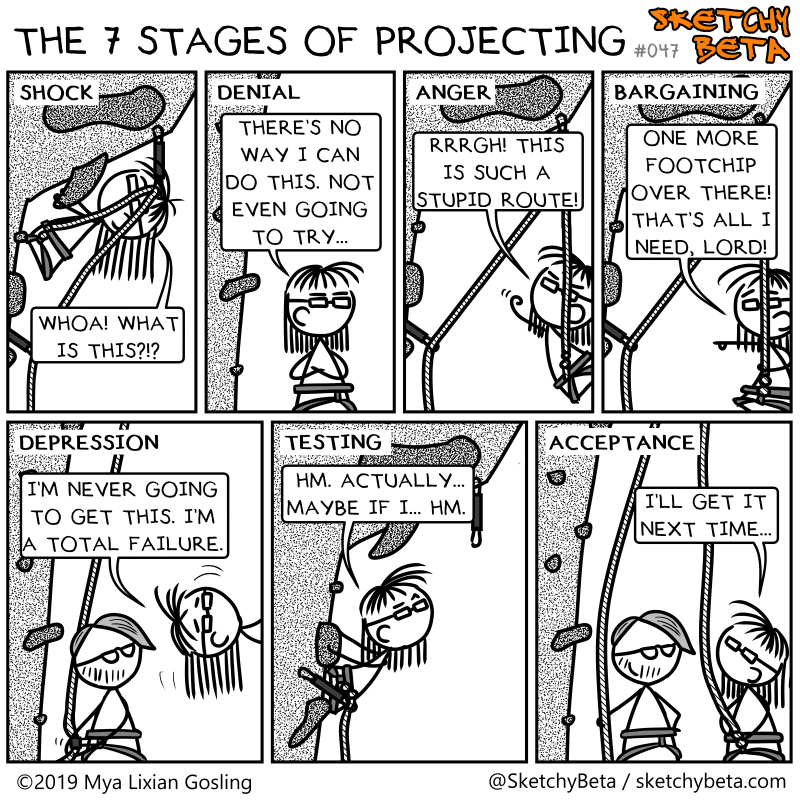 Hope you’ve all made rational and attainable new year’s climbing resolutions. Happy holidays to all my awesome readers! Hope you get some wall time during the winter break. I’m off next week, but will be back with more fun climbing comics in the new year! Hang in there, fellow gym rats. Only a couple more days of climbing to the soft sounds of Christmas crooning being piped through the speakers.